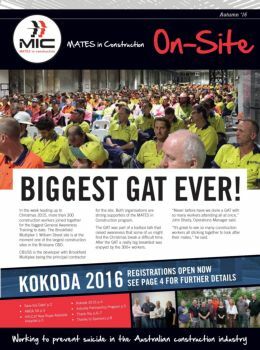 Stories featured in this edition include the largest GAT session so far, the accreditation of the New Royal Adelaide Hospital in South Australia, The Industry Partnership program, and details on joining the 2016 Kokoda Trek! The Autumn 2016 Onsite newsletter will be hitting your sites soon! Grab your online copy here!